Multiple necklace style options are available here which incorporate a handcrafted arrowhead made to your specifications. Since these are Custom Hand-made there can be a delay of up to a month in fulfillment. Selection of "Artist's Choice" under the options provided can reduce this fulfillment time significantly. Multiple necklace style options are available here which incorporate a Biface (roughly knapped blade) or Unique Knapped Eccentric. Since these are Custom Hand-made there can be a delay of up to a month in fulfillment. 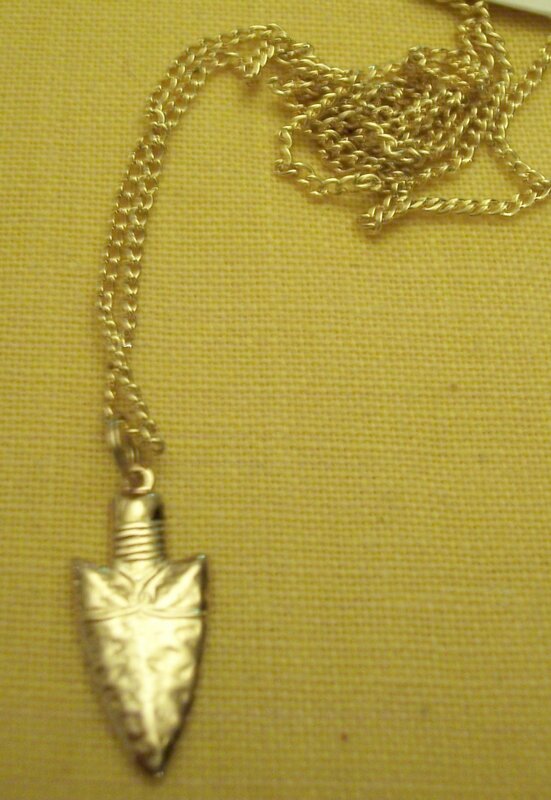 A Metal Arrowhead charm of your choice is added to a necklace. Also available here are other types of Arrowhead Charms, like Hematite or Slate, on Necklaces. A wide selection of Beaded Necklace options are available here. You can select by bead color whether it is stone or glass. 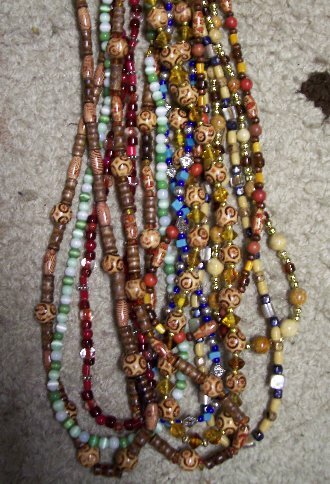 Also available here are wood bead and shell bead necklaces. 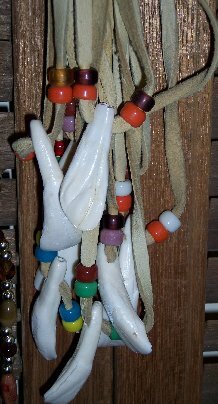 Dreamcatcher Necklaces are available in a variety of colored deerskin. 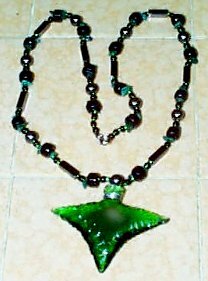 A variety of other necklaces are available from Phoenix Obsidian Designs. Found here are Bullet, Feather, and Tooth Necklaces as well as many other unique charm options.